John Krasinski has found a follow-up project to his successful horror-hit A Quiet Place, and we’re pretty excited to see what he’s got in store. As reported by The Hollywood Reporter, Krasinski will be joining the producers of A Quiet Place—Michael Bay, Andrew Form and Brad Fuller—to create their next thriller, Life On Mars. The project is expected to take inspiration from a short story by Cecil Castellucci called We Have Always Lived on Mars. The story focuses on a woman who is among a small group of descendants from a Martian colony that abandoned Earth following a cataclysm. The woman’s world is flipped on his head when she realizes that she can breathe the air on Mars. THR reports that Krasinski found the story and then pitched it to Platinum Dunes, the production company responsible for A Quiet Place. The company also reports that there’s currently no writer on board for the project and Krasinski doesn’t have any plans to star in the film, but he is scheduled to be a producer on the project. 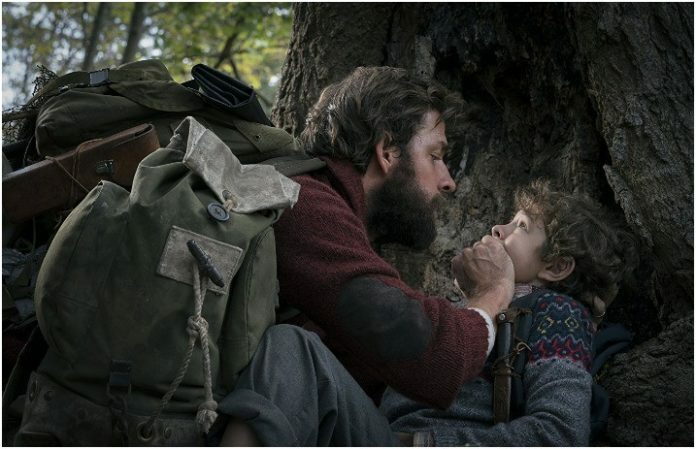 With the massive success A Quiet Place has seen, with a shocking $50.2 million in box office weekend sales, we’re pretty sure this new project will be a hit as well. The news comes a day after news broke that the movie could potentially be up for a sequel. As previously reported, screenwriters Bryan Woods and Scott Beck talked about the possibility of a second movie that revisited the world from A Quiet Place. We’re pretty excited to see what’s next in Krasinski’s new role behind the camera.